There was no initial plan to produce two different Calcaire wines. However, different richness, different vineyards, different harvest dates and a completely different fermentation profile have made it impossible to assemble the two wines together. 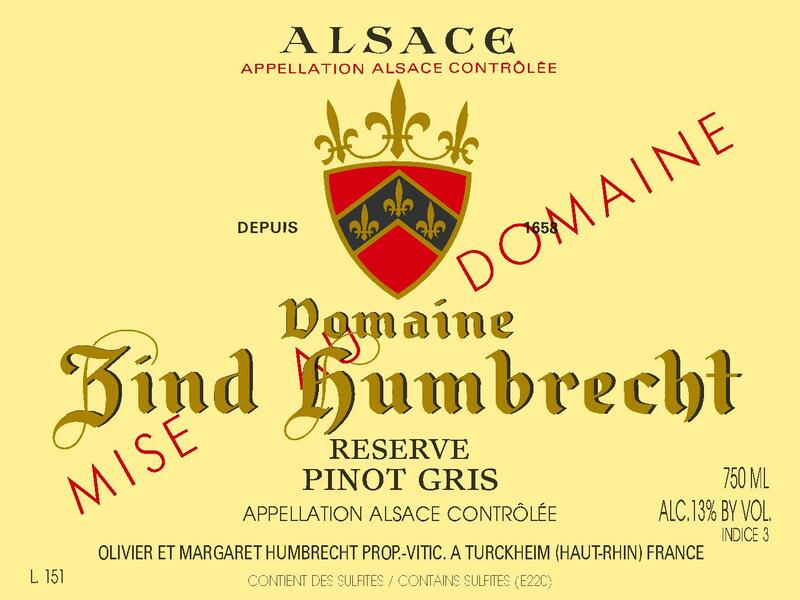 The Reserve comes entirely from the Clos Windsbuhl young vines (planted 1988 – 1992). There was a little presence of noble rot explaining some residual sweetness and a much slower fermentation. The Windsbuhl was also harvested much later due to a later flowering in 2012. 2/2012: the nose is still closed, almost yeasty, fresh bread and it takes a long time exposed to oxygen for the wine to develop its complexity. Shaking, decanting, opening the bottle days in advance is necessary, then the palate shows complex stony flavours and a nice tannic/acid combination that hides the sweetness. The palate is elegant with a velvety but firm finish.